NowKnow is a LHTM Template for Knowlege Base Websites. 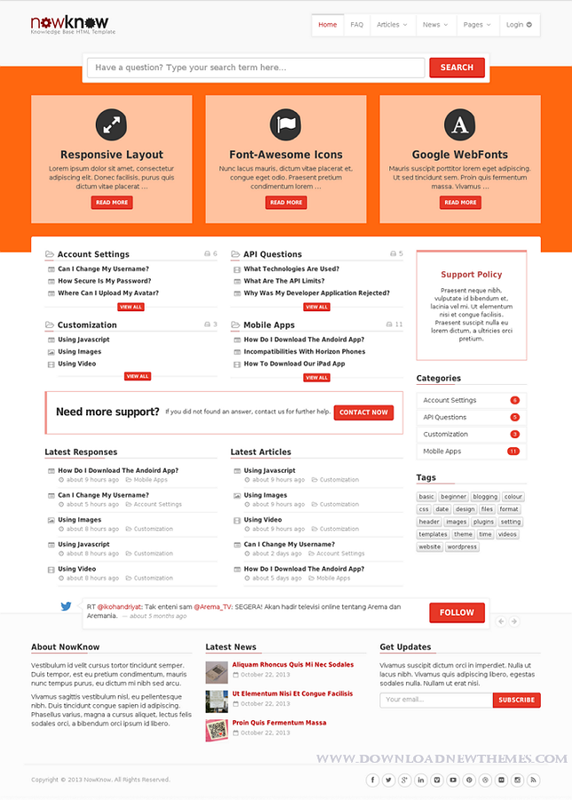 Item Reviewed: NowKnow - Knowledge Base Responsive HTML Template 9 out of 10 based on 10 ratings. 9 user reviews.